We have an incredible community of over 500 volunteers who come together each year to make this Festival happen. 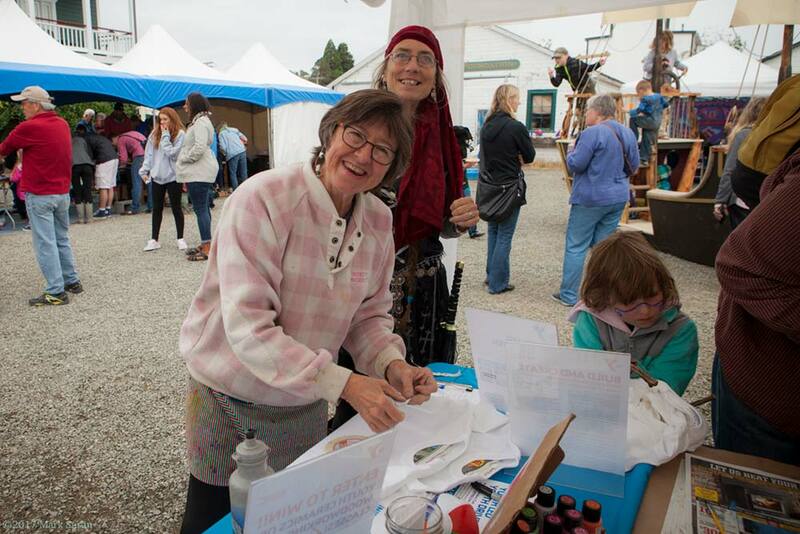 Volunteering for the Festival is a great way meet new friends, experience the Festival from the inside, and simply have some fun! If you volunteer for 3 shifts, you'll also receive a volunteer t-shirt and a 3-day Festival pass! Not ready to commit to 3 shifts? No problem! We can still use your help, and you'll get into the Festival for free on the day(s) you work. We're excited for you to join the Festival team, and we want to make it easy for you to get involved. Read through the information below, and if you still need help, give volunteer coordinator Angela Hewitson a call at 360.385.3628 x124 or email her at volunteer@nwmaritime.org. Shift signups go live early July! If you’re new this year, fill out the volunteer application. Then move on to step 2. If you’re a returning volunteer, just sign the 2018 release waiver. Then move on to step 2. Select your shifts! Remember, working 3 shifts gets you a volunteer t-shirt and a 3-day pass. Volunteering fewer than 3 shifts gets you into the Festival for free on the days you work. Select your shifts, then move on to step 3. Ready to find out how to be the best volunteer ever? 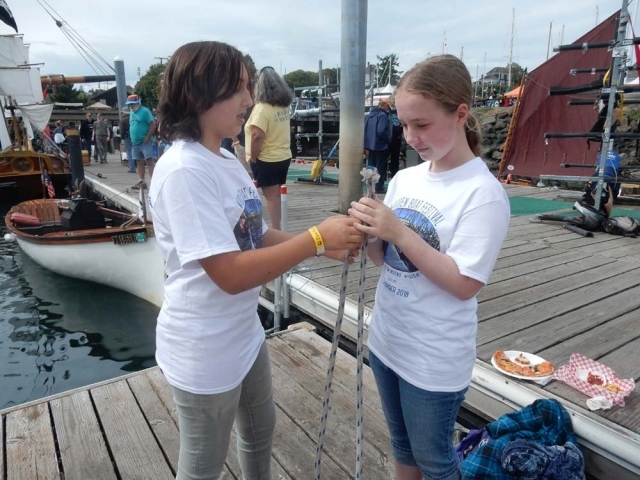 Take a look at our volunteer handbook to learn everything you need to know about volunteering at the Wooden Boat Festival. 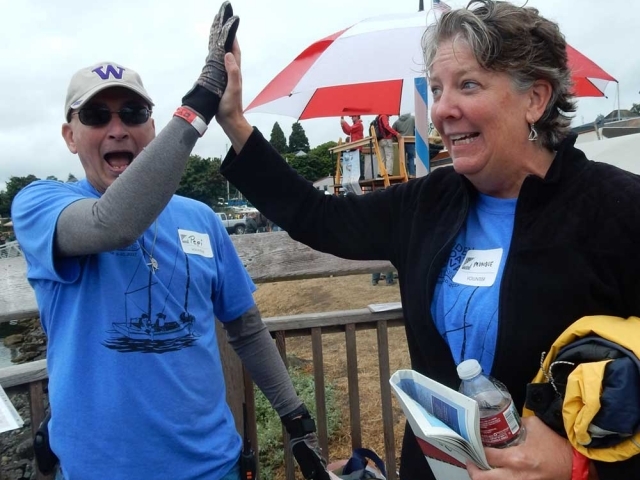 If you’ve already filled out the volunteer application (or, for returning volunteers, if you’ve filled out this year’s release waiver) it’s time to read about the different volunteer crews, then select your shifts. Please use the same name and email address for each shift you select. Be sure to hit “sign up” before moving on! The AV Crew works closely with presenters to ensure presentations run smoothly. The job involves helping presenters connect laptops to our AV system and handling lights and volume. Hands on free training classes are provided prior to Festival. No prior AV experience necessary! 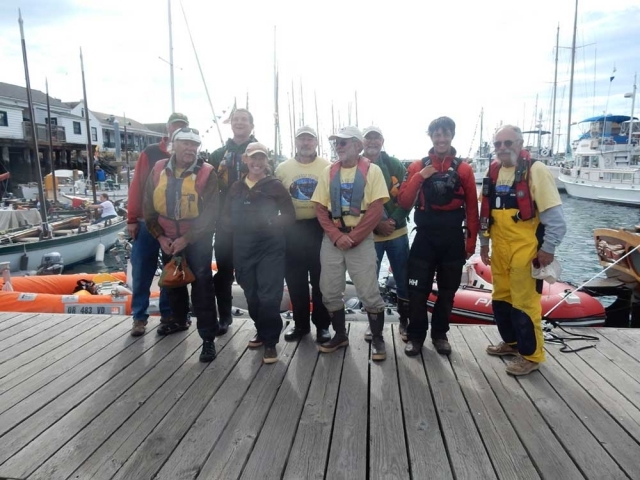 Email volunteer@nwmaritime.org to find out about joining. 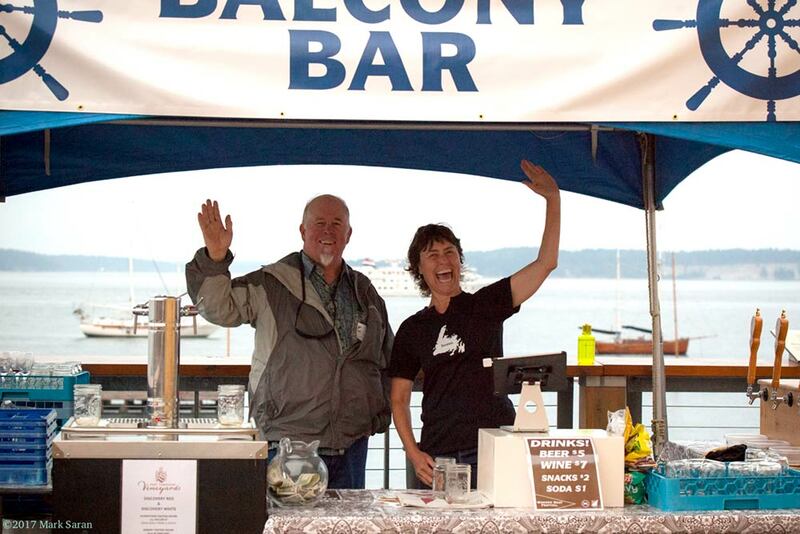 The Balcony Bar overlooks Port Townsend Bay and serves drinks to those interested in a quieter place to relax. This team is responsible for setting up and stocking the bar, checking IDs, and selling, pouring, and clearing up after beverages. 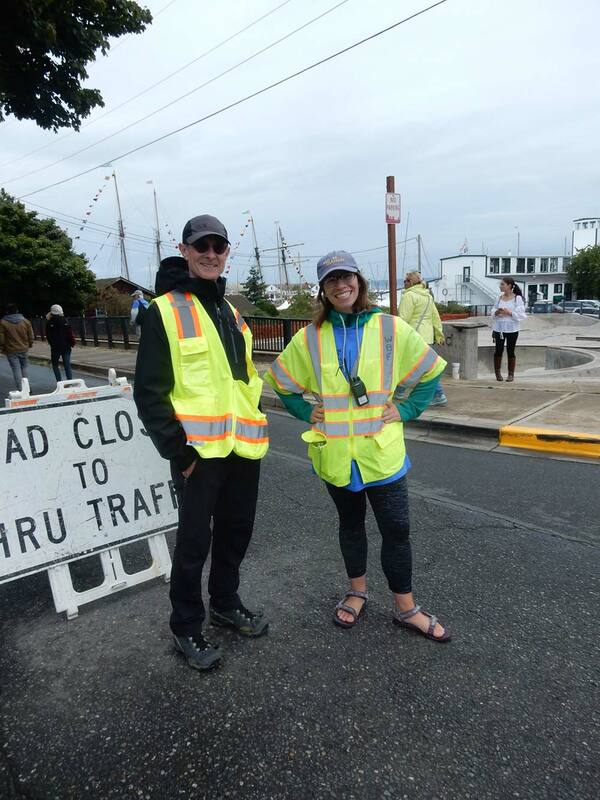 Volunteers must be 21+ and able to work hard and stay focused with an amazing view of Pt. Hudson. Please DO NOT sign up for Wee Nip shifts here. Wee Nip volunteers are handpicked by the Wee Nip captain and are organized separately. If you have bartending skills and enjoy an on-call schedule, this job is for you! Fill in at Bar Harbor and Balcony Bar in case a scheduled volunteer is unable to make their shift. Please note: this is not the same as "bar back," but rather a wonderful crew that is available to fill in at a bar if needed. You do not need to check in at the Volunteer Tent for these shifts; however, you must be 21+, reachable by cell phone, and within 10 minutes of Festival grounds during your shift. 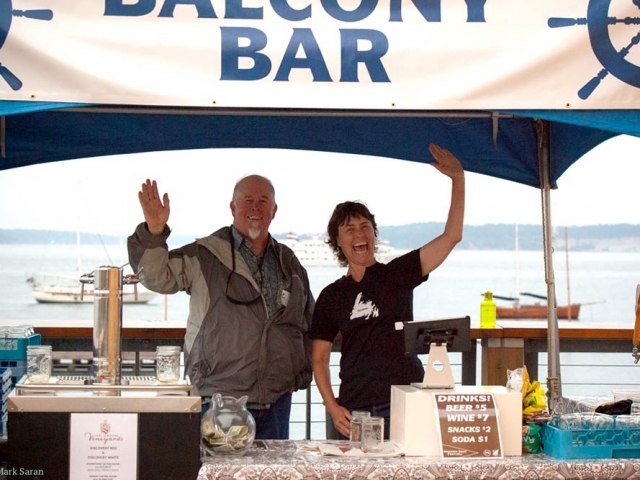 Please read the Bar Harbor and Balcony Bar job descriptions before signing up to be part of the Bar Backup Crew! Since this job runs on an on-call basis, it does not count towards the 12-hour minimum for receiving a 3-day Festival pass and a volunteer t-shirt. It’s hard work in a fast-paced environment, but really fun to be part of this team. Specific duties include pouring beverages, serving and clearing tables, washing dishes, moving ice, kegs and supplies, taking out the trash, and checking IDs. In addition, this crew stocks and maintains beer/wine supplies for other Festival bars. All members of this crew must be 21+ years of age. If you're a person who loves to work hard, see what needs to be done and get it done, and wants to have a lot of fast-paced fun, this is the job for you! 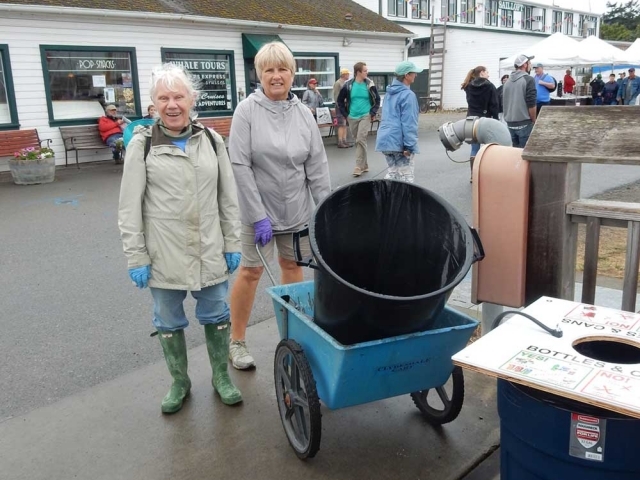 We encourage you to sign up for 3 Bar Harbor shifts so we can keep things efficient. Please only sign up for the "super fast-paced" shifts if you are comfortable really working hard! While Bar Harbor is always busy, these shifts are even busier! Please DO NOT sign up for Wee Nip shifts under Bar Harbor. Wee Nip volunteers are handpicked by the Wee Nip captain and are organized separately. Several events are held during Festival, and we need help making them happen. Varying in schedule and placement, responsibilities include setup and teardown, special event ticket-taking, food delivery, food prep and serving, cleanup, and more. This crew is ever changing and perfect for those who love diversity! Volunteers should feel comfortable going with the flow and jumping in where needed. This is a great job for you if you like to put all your focus on one area! This person oversees the Boatyard Stage which includes ensuring the stage is signed properly with new schedules for the day, and making sure the presenters show up. If presenters don’t show up, you would try to help problem solve what may have gone wrong—are they lost?—and keep attendees and staff informed about late starts and no-shows. Please sign up for all three shifts so that we can be as efficient as possible! Join the Dock Crew and ensure the safety of the festival goers in the heart of action—right on the docks. Keep strollers and large backpacks off the docks to limit accidental plunges into the water (this rarely happens thanks to our awesome crew!). This job involves a lot of standing in the elements. Rain or shine this crew is out in the weather helping people be safe. This is the perfect job for those who consider themselves a people-person and love people watching! Volunteers must be able to stay focused and act quickly under pressure. Work with the Director of Donor Relations to put on the Newcomers' VIP Reception on Thursday and the Donor Sail-by on Sunday. Tasks include setup, food prep, bartending, cleanup, and more! Sail-by volunteers will actually join the sail-by. Do you like to interact with people? Can you maintain flow and the coming and goings of ALL things Festival goers? Then we need you!! We need a strong player in this role with the ability to check wristbands, direct people to main gate, to the volunteer tent, and assist exhibitors coming and going through this entrance. Does this active experience speak to you? Ultimately you are contributing to the success of us hosting Festival again and again! Help us patrol our fences in the Food Court area where the comings and goings of our exhibitors is vulnerable to potential festival crashers! Love kids, arts and crafts, and getting your hands a little dirty? Help kiddos make cool t-shirts by painting fish and then printing them on their shirts. A background check is required for all volunteers working with kids. We're painting real fish—don't worry, they're no longer living—but you must be okay handling them. We've already eliminated plastic cups from the bars; now we're eliminating plastic food utensils from the food court! We're so excited to have reusable utensils this year, but we need help washing them throughout the weekend. If you care about taking care of our planet, or maybe you just like washing dishes and recycling, sign up to be a part of our food court crew! We're so excited to have a station for folks to get out on paddleboards and rowboats at the Festival this year! These volunteers will carry the boards/boats to and from the water, help answer basic paddling and rowing questions, and then watch out to make sure everyone is safe. One person on the crew will help the crew captain on the shore getting waivers signed and lifejackets on. You'll get a little wet and you need to be strong (able to carry the boats/boards in and out of the water). Friendly and helpful attitude is a must! A background check will need to be preformed as you might be interacting with kids underage. This is a crew for friendly people that act as the face of the Festival! Responsibilities include guest information, wristband checking, general greeting, and more. These volunteers must be comfortable enforcing rules while maintaining a friendly attitude. If you're excited to be at the Festival (we sure are! ), and you enjoy greeting people, join this crew! Join the Grounds/Recycling Captain and help keep the Festival site clean during the weekend. Includes but is not limited to general deliveries, minor maintenance, trash collection, “butts and cans,” and more! 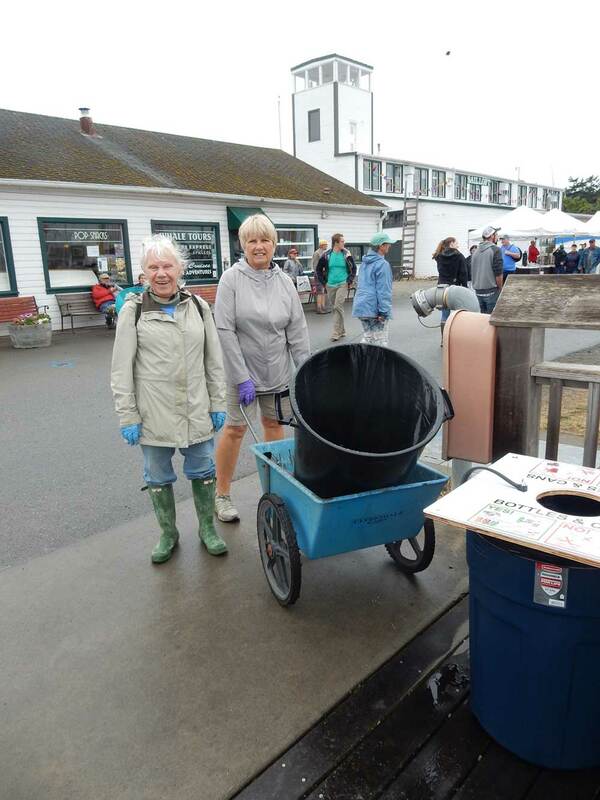 This crew is also responsible for making sure everything that should be recycled IS recycled, and that recycling bins are well-marked and emptied throughout the day. This is a great job for those who like moving about and getting those steps in! Help the Finance Team keep Festival flowing smoothly! Keep a low profile walking around the whole Festival reconciling sales receipts throughout the weekend! Experience is an asset, but do not dismay- if you were not on Green Team last year, you can and must attend a special training on August 20th at 5:30 pm. A background check is required for formality sake. After all... Green Team is known for their killer snacks! This crew is hand-selected for its abilities in boat handling, great attitudes, and ability to work well under intense pressure. Harbormasters oversee all things on the water and help get all boats in and out of the harbor safely. 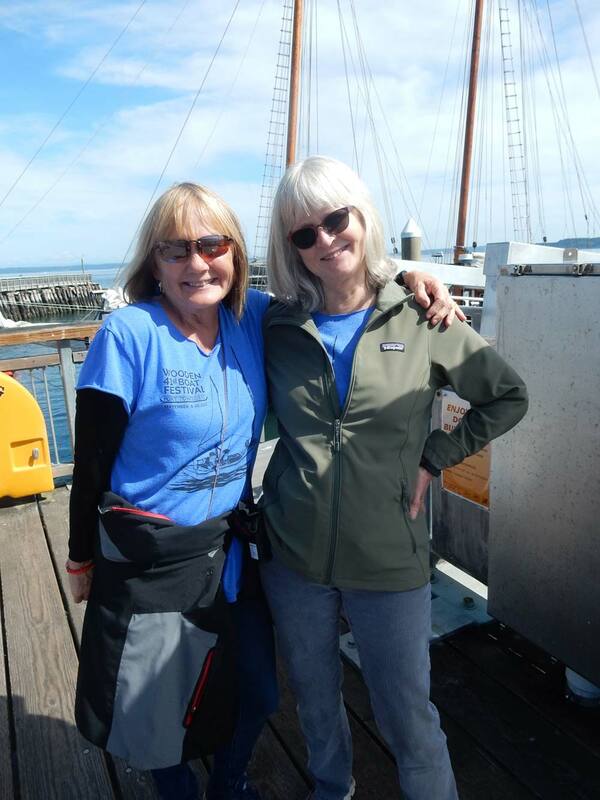 If you’re interested in joining this team, contact our Harbormaster at harbormaster@woodenboat.org. The hospitality crew represents the NWMC as a liaison to the presenters and public. At the indoor stages we need help with crowd control, helping people find the right room (sometimes the bathroom! ), and keeping people quiet when they enter late. Venue hosts also ensure presenters, exhibitors, and sponsors have a place to go for a quiet moment to make a copy, send an email, etc. Make sure the hospitality suite is stocked with snacks and beverages, and that it is a friendly, warm place to go. This is a special job for a special team. If you like to care for people and make sure they know they are taken care of, join this team! At the heart of the behind-the-scenes action, information volunteers sell tickets, answer questions, and manage the lost and found, among other things. Volunteers must be friendly, enjoy helping others, and able to use an iPad. 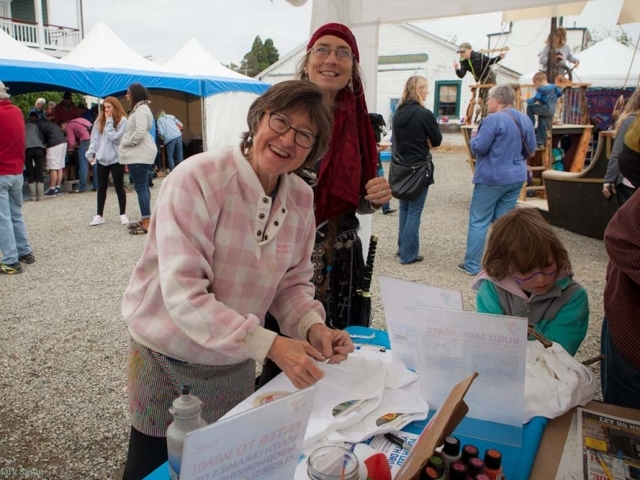 Please only signup for the information tent if you live in Port Townsend (or nearby) and/or know a lot about the area! Assist kiddos in creating their own wooden boats! Requires patience, calm direction, and the ability to withstand the noise of hammers pounding wood for the entire shift 🙂 A fun place to volunteer. A simple background check will be run on all volunteers that work with kids at no cost to you. We will handle the process. You don't need woodworking experience, but you should be good at working with kids, encouraging and guiding them. A friendly face, attention to detail, and confidence handling money is all you need to sell tickets at the Main Gate! Volunteers must be able to use iPads and work quickly to keep lines down. Because this is a fast-paced job, please do not sign up for back-to-back Main Gate shifts. Please take a break (or work a shift of another job if you prefer) between Main Gate shifts! This is a great job for those who like action. Your shift will fly by! Responsible for providing First Aid for all people at the festival site throughout the weekend. This is an Event Medical Team who contracts to provide first response services, with a crew of advanced first aiders, EMTs, nurses, doctors, and more. If you have medical experience and are interested in joining the team, please email jdpollack@gmail.com. They welcome new members! The Meeting Room Turnover Crew rearranges the presentation rooms throughout the Festival weekend. The job involves short bursts of activity, followed by down-time when you might be asked to help out in other ways. If you can work quickly, are physically fit, and enjoy this type of schedule, join this crew! Shifts are only an hour long, but they'll count as a full 4 hours! 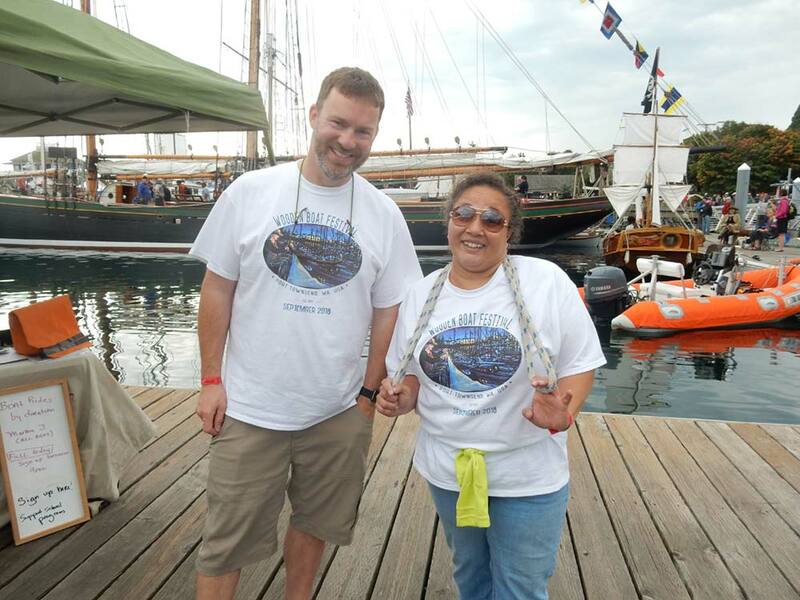 Use your special people skills to help patrons join the Northwest Maritime Center forces. Give Festival passes to current members, renew memberships, sign up new members, and collect payment. These volunteers must be friendly, organized, able to sit or stand at a table for the duration of the shift, comfortable operating basic iPad payment tools (we'll train you! ), comfortable handling money, and comfortable referencing long alphabetized lists. We are always looking for on-call volunteers who have a "go-with-the-flow attitude" and can fill in as needed. If this sounds like you, please let us know by clicking "sign up now." Please note: clicking this button does not sign you up for a specific shift and doesn't count towards the 3 shifts needed for a 3-day Festival pass unless you end up filling in; it just puts you on our list of volunteers who might be able to help us in a time of need! You can also be added to this list by emailing volunteer@nwmaritime.org. ​​Water sports AND kiddos? What fun! Manage the paddleboard pool activities and make sure participant waivers are signed. A simple background check will be run on all volunteers that work with kids at no cost to you. We will handle the process. If you are good with kids, enjoy water sports, and want to be in the center of the action out on the Point, join this crew! 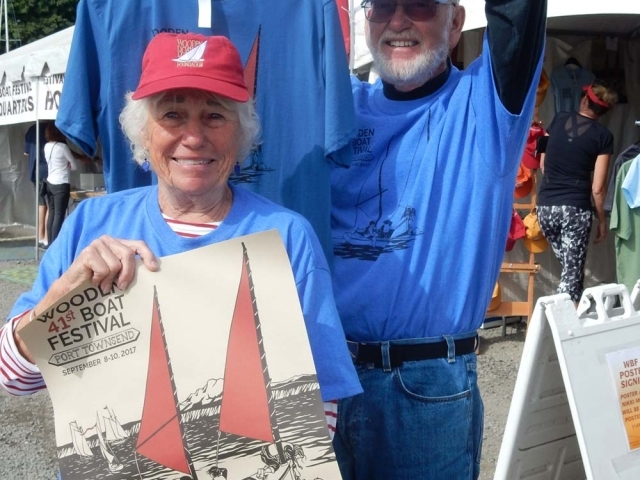 This crew is the first face of the NWMC and the Wooden Boat Festival. Great for those who are friendly, helpful, and comfortable giving directions. This crew directs traffic (humans, bicycles, vehicles of patrons and presenters) and enforces parking restrictions in and around the festival site. TIf you like being on your feet and being part of a job we couldn't do without, this is for you! We love our Parking & Traffic Crew! 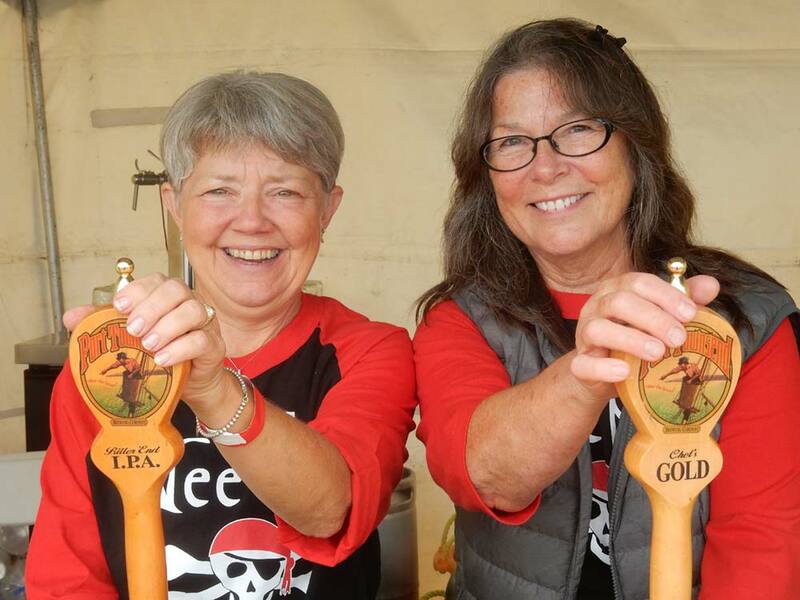 You keep the Wooden Boat Festival flowing smoothly. Are you organized and comfortable solving problems, acting calmly under pressure, and being a facilitator for multiple parties? The Point Person at the NWMC acts as a wayfinder and helps direct vendors and exhibitors to the right location as they arrive. This team is an integral part of ensuring the setup of the Festival flows smoothly! Everyone knows all the work is before Festival begins! You might do computer work, fold t-shirts, hang posters, make deliveries, copying and collating, or other office work. If you have a go-with-the-flow attitude and enjoy being a part of the pre-Festival buzz, this is for you! Come join the fun of the R2AK Blazer Party! We'll recap 2018's race and announce details and changes for 2019. Interested in bartending at the Blazer Party? This year the bartending shifts fall under the Balcony Bar Crew. Take a look at the Balcony Bar, September 8, 5:30-9:30 PM shift to see if there are slots still available! 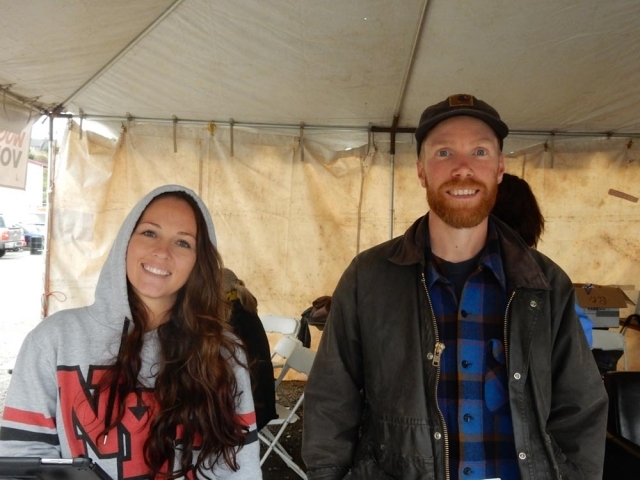 This crew works at the Chandlery, the Festival retail tent, and the R2AK retail tent. You would be selling Festival merchandise, assisting festival patrons, and stocking and organizing product. If you love folding t-shirts, helping people find things to bring home as memories, and working with money… this is your crew! Volunteers must be comfortable working with cash, using an iPad, and should enjoy helping others. We'll train you on the ipad! This is such a fun crew—they're always smiling! 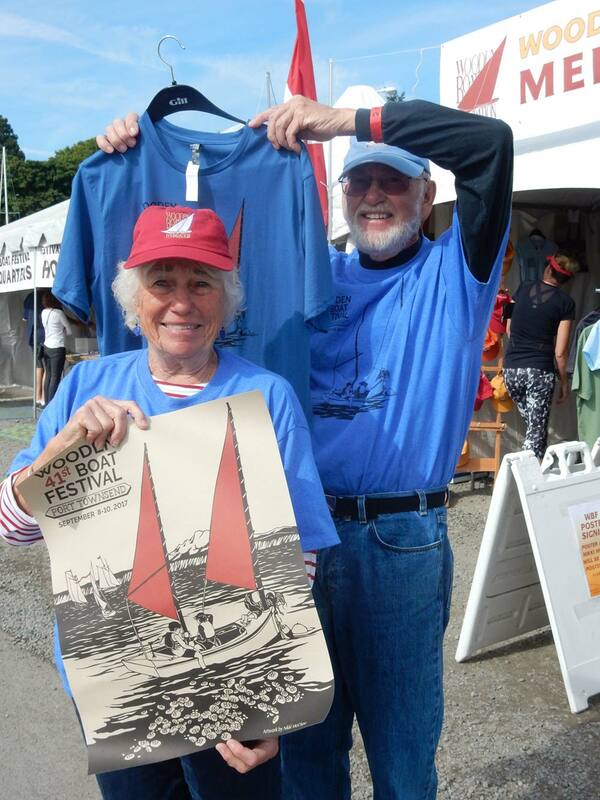 Help us set up the Chandlery and retail tent before the Festival begins! These volunteers must be able to lift 40 lbs and be comfortable on their feet for the full shift (breaks okay!). Runners are an unbelievable help to the volunteer coordinator and everyone involved in the Festival. You turn potential problems (like too few volunteers) into smooth-sailing operations! As the runner, you are the “jack-of-all-trades;” someone who can fill in as needed and be shifted around. This position requires someone who enjoys spontaneity, can learn on the spot, is okay with down time, and has a go-with-the-flow-attitude. 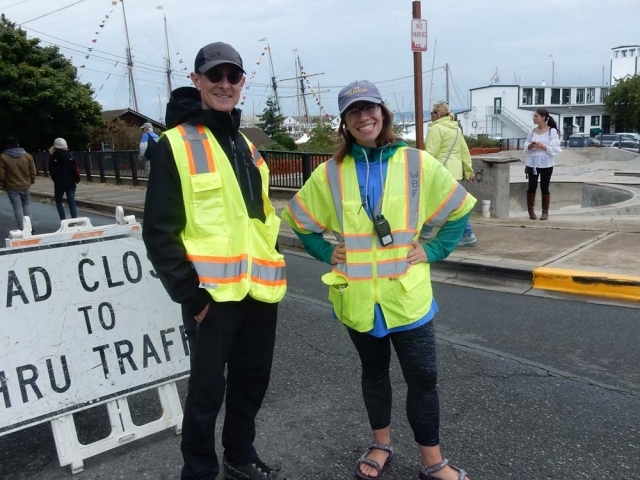 Runners are often the volunteers who "save the day" by filling in when others are unable to make it to their shifts—our knights in shining armor! 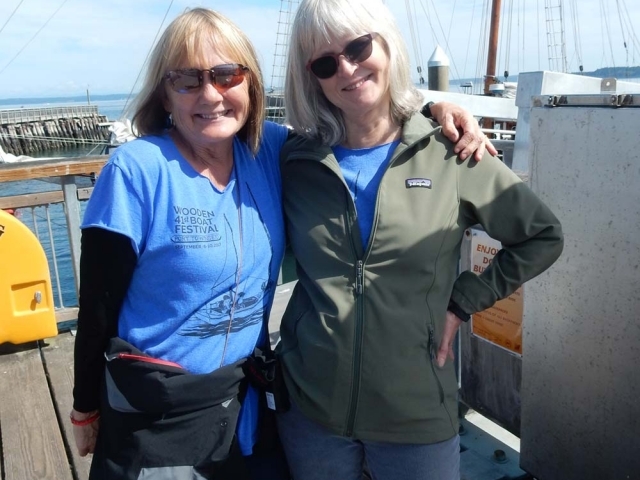 Carol Hasse has been a sailmaker and owner of Hasse & Company Port Townsend Sails, Inc. since 1978. The sails made by Ms. Hasse's loft are world renowned, and for two decades have been acknowledged as the best offshore cruising sails available anywhere. 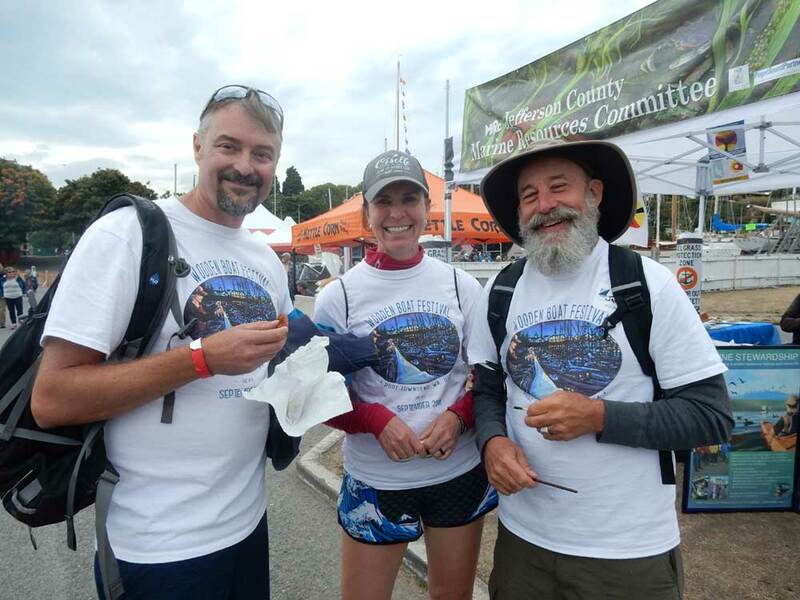 You can help out by greeting people at Port Townsend Sails and making sure they take their shoes off before going upstairs to see the sail loft and presentations in action! This is the workhorse crew of the Festival responsible for the setup and teardown of Festival grounds. Join this crew to get your volunteer hours in while keeping your schedule open during the Festival so you won't have to worry about missing that cool presentation or demonstration. We love to see returning faces, so if you've helped with setup or breakdown in years past, we'd love to see you on this crew again! All members of this crew must be reliable, over 18 years of age, physically fit, able to lift 30+ lbs, and comfortable going with the flow and jumping in where needed. Setup volunteers are in charge of setting up fences, tables, and the North Star Stage, trash can delivery, banner hanging, sign posting… to name a few. Join the pre-Festival buzz. It's a fun couple of days! We have a very special place in our hearts for those who join the teardown crew and stick it out til the end with us. 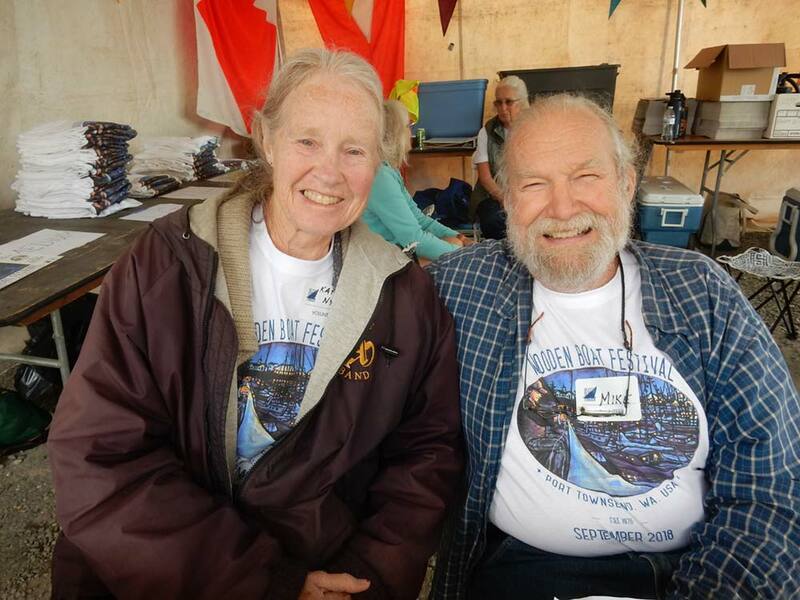 We rely on these volunteers each year to tear down and clean up the Festival after most people have gone home. If you're reliable, can do some heavy lifting, and don't mind missing the volunteer party Sunday evening, please join this crew! The 3-6 PM shift will even give you the option to attend the volunteer party (plus, it's a short shift... who doesn't want that?)! We are looking for one trusty volunteer to take on the task of putting up and switching out the presentation signs early each morning. Put all of the signs up Friday morning (8-10), and then switch them out Saturday and Sunday mornings (8-9) before the grounds get busy. Doing this job will count as a normal four hour shift! It's a super easy way to get a shift in when the grounds are quiet and you can focus on one simple task. So take a morning stroll around the grounds and be our sign switcher! "Want a free beer coupon? Take our survey!" is what you'll be saying as our Festival surveyor! We want to learn more about our Festival goers so that we can improve the Festival and keep it going for another 40 years. If you have an outgoing, gregarious personality and can help us with this task by standing by the ticket line offering beer coupons in exchange for survey responses, please sign up! Don't like the pick-up line written above? Feel free to add your own spin! Bring a friend to help you, or go solo. Love behind the scenes support? 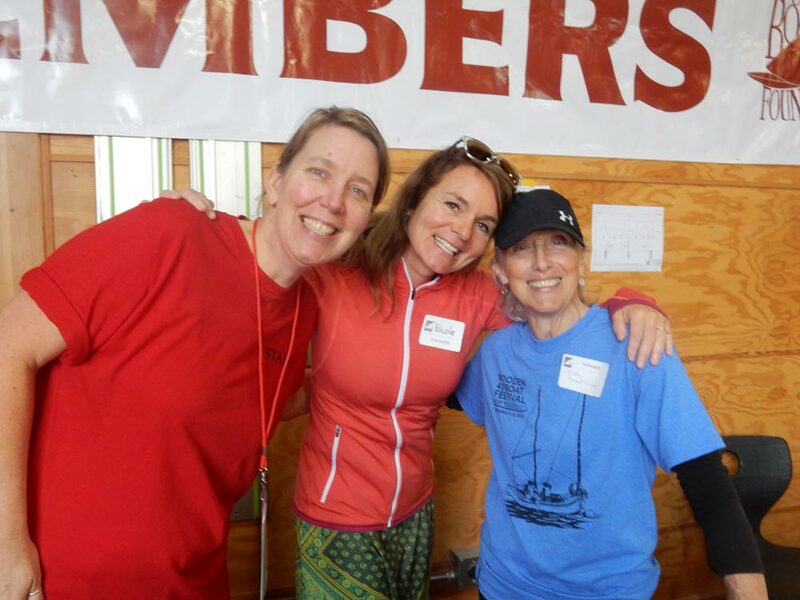 These volunteers are responsible for checking volunteers in for their shifts, providing information to volunteers, managing messages for the volunteer coordinator, and potentially being plugged in to understaffed volunteer positions. This volunteer should be friendly, outgoing, well-organized, reliable, and comfortable working quickly from a list. Bring your friendly attitude, patience, and attention to detail! You’ll be responsible for will-call ticket pickups, providing information and assistance to festival patrons, returning lost children, and managing the lost & found. This is a good job to do if you need to be able to sit down during your shift. Our volunteer coordinator, Angela Hewitson, is happy to help! 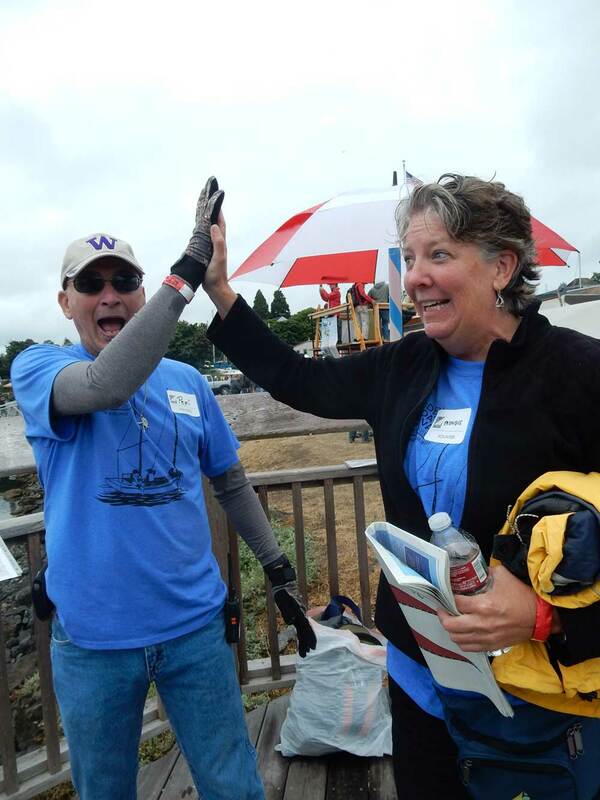 Give her a call at 360.385.3628 x124 or email her at volunteer@nwmaritime.org.